Here’s an interesting 2-piece cat scratcher from Seville Classics. What I like about it is how the two parts fit together to create a variety to different configurations. I especially like the perch configuration shown above, I have several cats who would spend all day balancing on top of this! 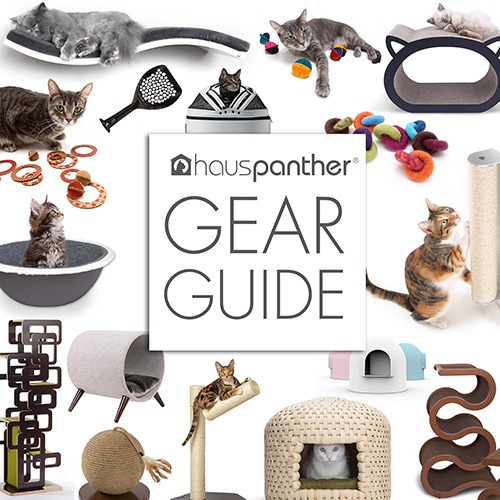 The nesting pieces are designed to be used together or separately, plus they can be flipped over so cats are able to scratch on every surface, extending the life of the scratcher. Both pieces look like they have a faux bamboo woodgrain edge. The larger piece measures 23″ long by 9.5″ deep by 10.5″ tall, big enough for most cats to use as a lounge, as this handsome white fellow demonstrates below. The smaller piece fits inside the larger and measures 17.8” by 9.5” by 5.3”. Available on Amazon for $39.99. I’ve also heard you can find this scratcher at some Costco stores. Truly good-looking and offered at a reasonable price — and cat-attractive, too! Looks like a (double) winner. And yes, that snowy-coated model is very handsome! Beautiful piece of furniture and the cat is a show-off. He totally is! That face!! !